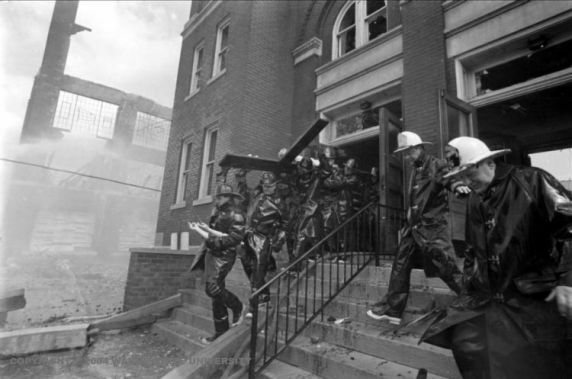 Members of the Detroit Fire Department carry the crucifix out of Our Lady of Sorrows Catholic Church after they were unable to stop a fire from destroying the building. The fire started at, and also destroyed, the Briggs Manufacturing Plant directly adjacent to the church. The church was located at Meldrum & Benson on Detroit's east side.